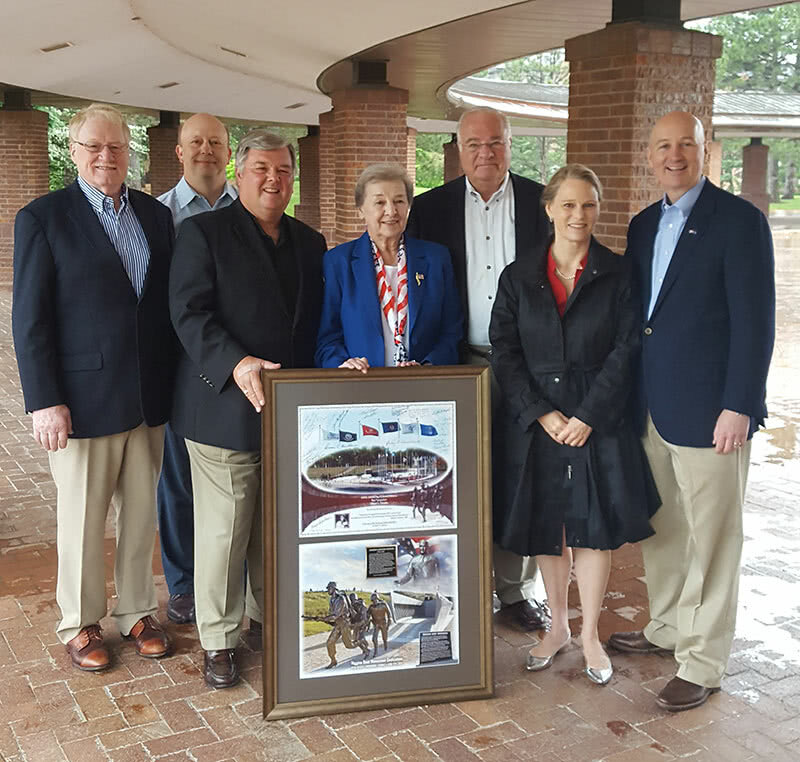 Saturday, May 27, 2017, my wife, Marlene, was honored by the Columbus Chamber of Commerce for her support of the Utah Beach Higgins Memorial located at the Utah Beach Museum in Sainte-Marie-du-Mont, France. The memorial has been placed in the spot where a gap was blown open by U.S. Army Rangers on the morning of June 6, 1944, also known as D-Day. This memorial includes statues of WWII soldiers, a replica of the Higgins Boat and Columbus Nebraska’s very own Andrew Jackson Higgins. Our sincerest thanks to the Columbus Chamber of Commerce and it is our honor to remember our veterans who gave the ultimate sacrifice for our freedom.